We checked the forecast, and there's a 100% chance of beer. 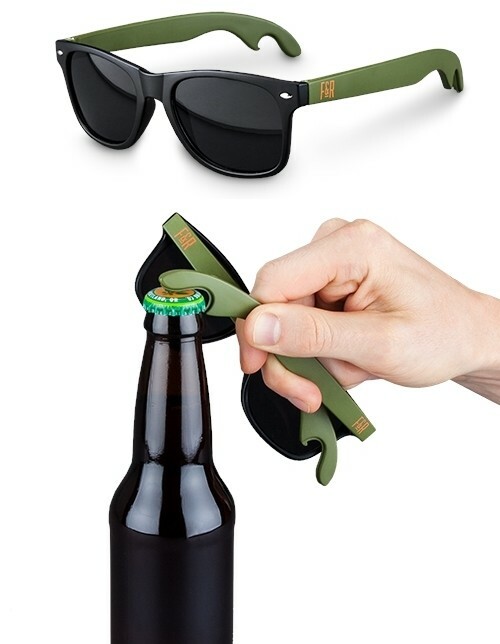 Be ready for it with the coolest bottle opener shades around that are complete with two durable metal bottle openers integrated in each of the sunglasses' arms, so you get to drink up all summer long. Durable plastic and metal. Lens width: 52 mm. Perfect for boating, tailgating, the beach and more.